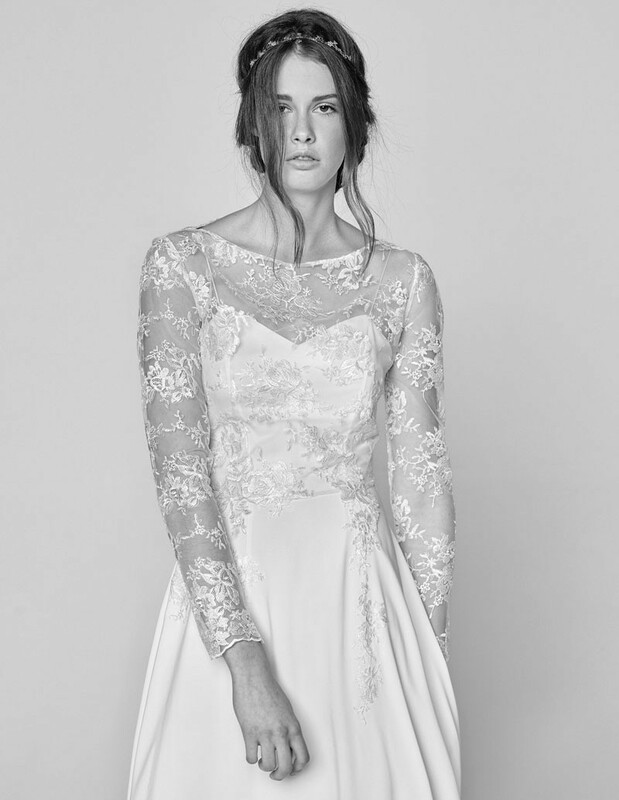 This wedding dress consists of 2 pieces, a dress with slim straps and a sheer lace top. The dress is cut from glossy cream satin that feels soft against the body and the gown skims your silhouette before falling to an elegant, floor-sweeping hem.The top is designed to be worn on top of this dress. This white piece has elegant long sleeves, a lightly dipped back hem, delicate trims and button detail closure on the back.